These cookies are my current obsession. They have the perfect balance of sweet and salty. And they're soft and chewy. And you can't help but make noises when you eat them. Best of all they are a cinch to whip up. 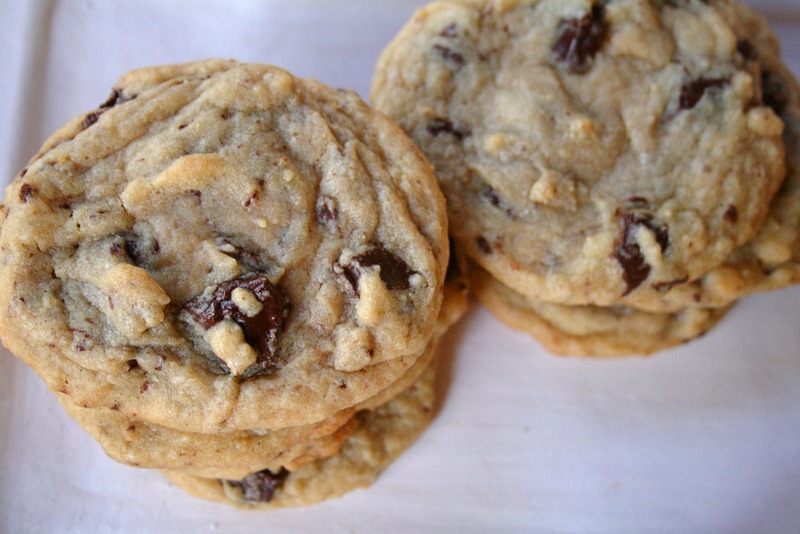 They stay chewy for a few days, but are definitely best warm out of the oven with a tall glass of cold milk. One reason these cookies are so awesome is the use of a good dark chocolate. The boldness of the dark chocolate mixes so nicely with sugar & salt in the dough. 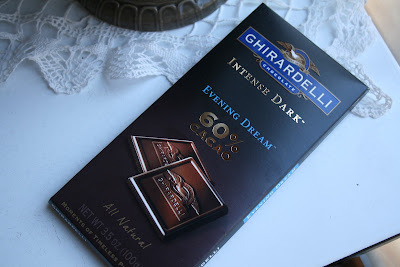 I used one of these Ghiradelli "Intense Dark" chocolate bars. The dark chocolate makes the cookie, so don't skip on this ingredient. Using electric mixer cream butter & sugar until fluffy & light in color. Add egg & vanilla and beat until fluffy. Mix in flour, cornstarch, baking soda, and salt. On greased cookie sheet drop heaping tablespoonfuls of cookie dough about 2 inches apart. 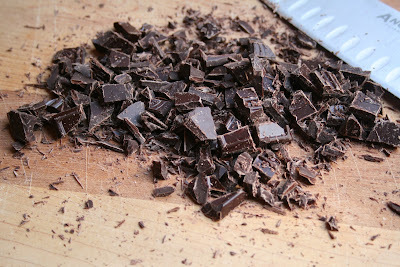 Bake for 8-10 minutes, until edges are barely golden brown. Do not cook longer than 10 minutes! Let cool for a few minutes & enjoy! Girl, you have been busy!!!! Now I need to get busy and try all these yummy things you put on last week!! !